Sponsored by Toyota, this commission honours the commitment and contribution of Toyota employees to the local and wider Australian community over the past 50 years. 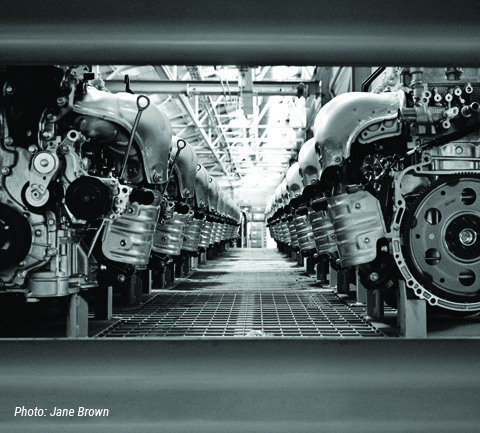 Three Australian contemporary photographers, Jane Brown, Jean-Marc La-Roque and Dave Tacon were given the opportunity to explore the daily working routines of employees and the industrial technology and processes that were utilised at Toyota Altona’s manufacturing plant before it ceased production in 2017. This exhibition offers a rare glimpse into one of the West’s largest industrial sites through the eyes of exceptional photographers who were privileged with capturing a manufacturing era, which is now part of our industrial legacy.